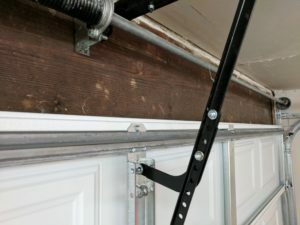 These homeowners were finally ready to address some lingering issues in their garage after purchasing their home last year. As they were cleaning up and just generally inspecting areas they needed to work on, they noticed that the door wasn’t straight and tilting away from the house. Uh-oh. Before attempting to fix it, they called Perfect Solutions right away to figure out what was going on. We discovered that the upper panel was damaged, and needed to be replaced. 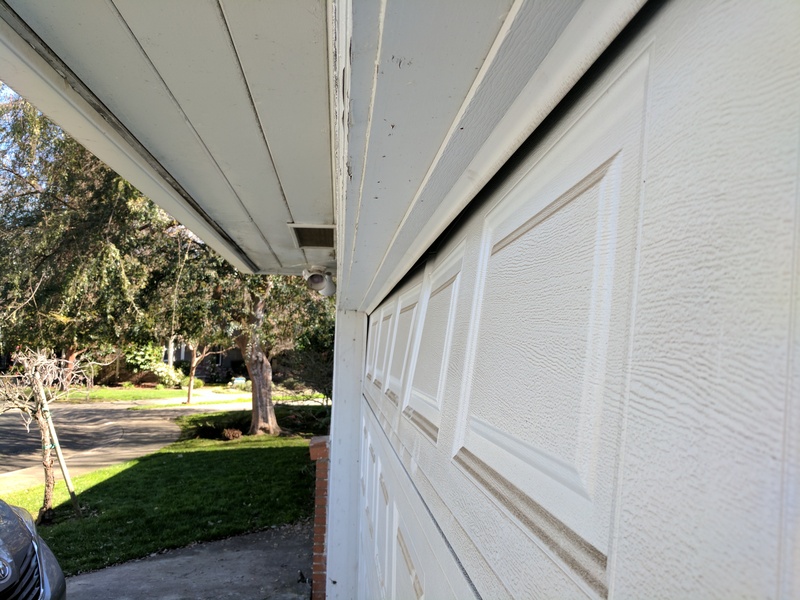 After brainstorming all the ways in which this upper panel could have been damaged, it became clear that the garage door opener was to blame. The previous owners installed it themselves, so it wasn’t done properly. The bad installation resulted in the upper panel being damaged. 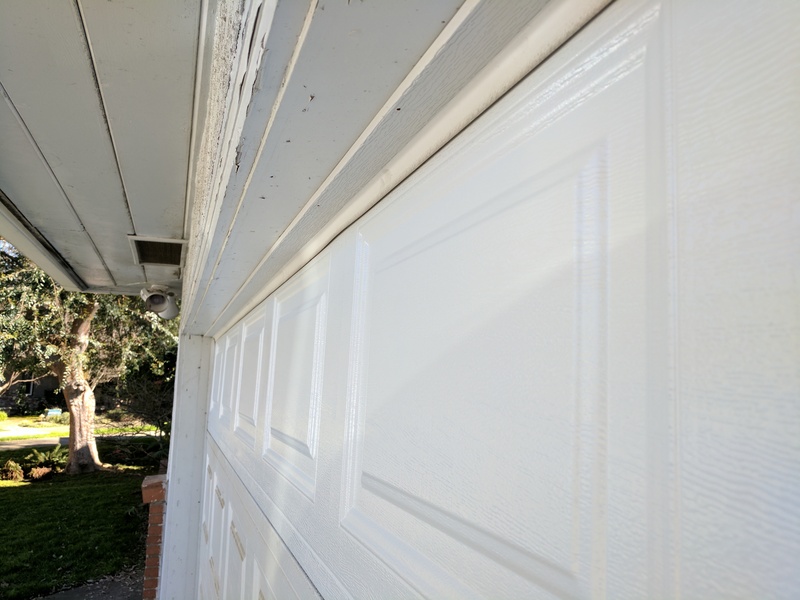 What was wrong with the opener installation? 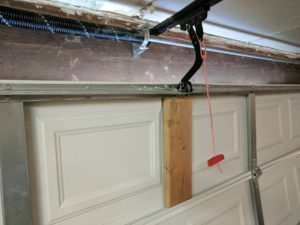 The garage door opener the previous owners installed was mounted to the garage itself with a piece of wood. This isn’t how to mount an an opener! You should always use proper mounting materials and a proper mount meant for garage doors. Mounting it to the wood is what damaged the panel, which you can see below. We simply remounted the garage door opener properly, with a center mount. 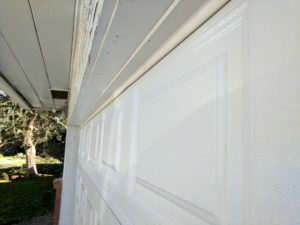 We also found a replacement panel for their door, ordered and installed it! After we installed the new upper panel, we re-balanced the door and made sure the opener, springs, censors, etc were all set properly. Now that this part is done, they can keep up the great work on putting their own stamp on their new, and first, home!